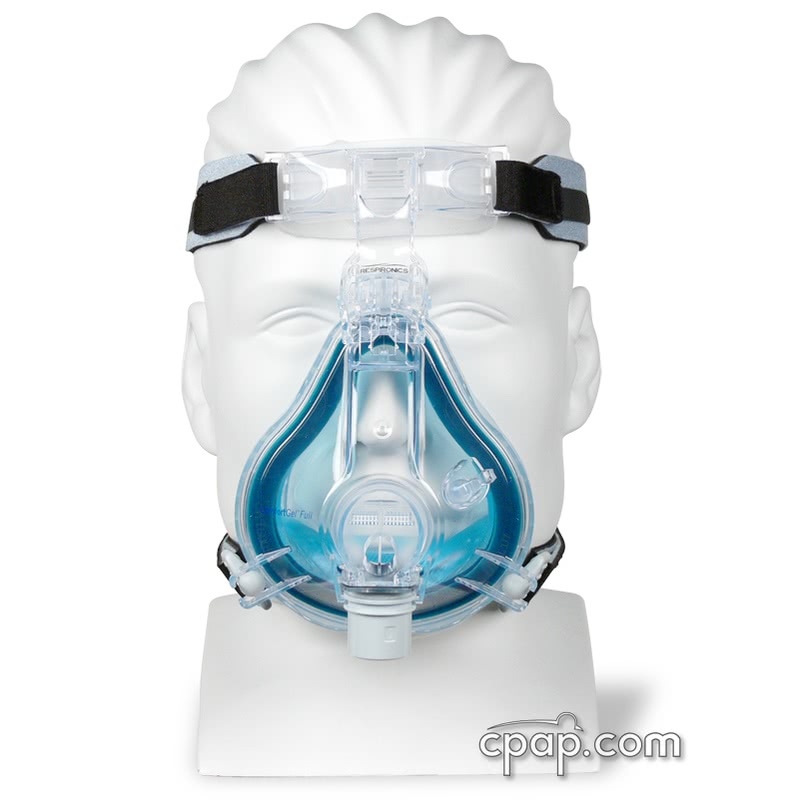 " This mask i the most comfortable model I have ever used. Great fit and comfortable headgear. Seals wonderfully and does not leak. I highly recommend this mask. " 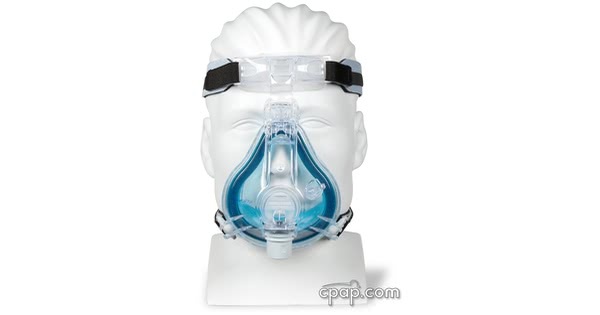 " I am very happy with the way this mask molded to my face immediatly. Very comfortable with no biting parts even across the nose. " 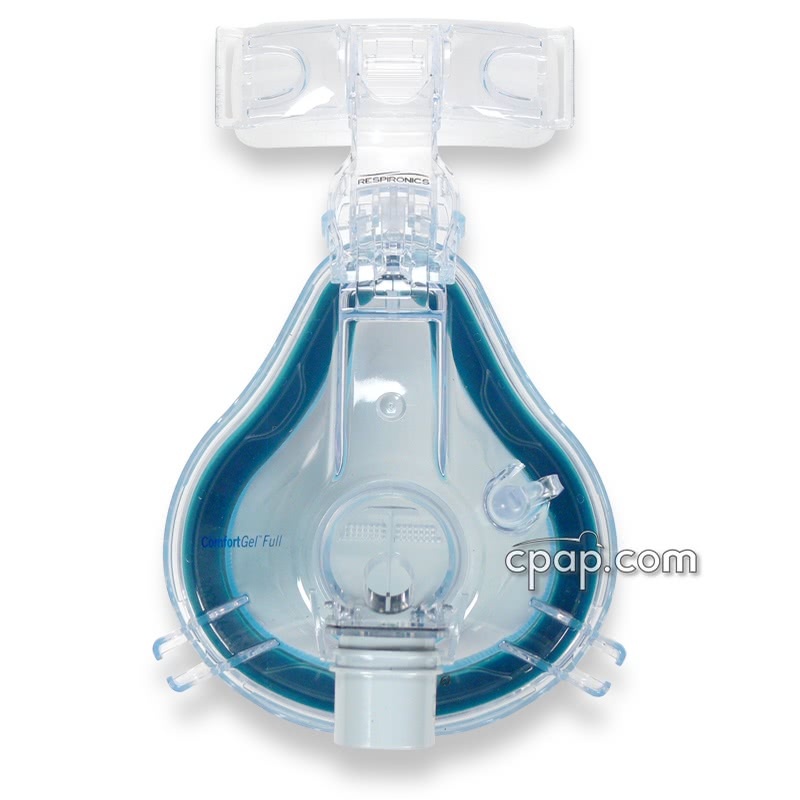 The ComfortGel Full Face CPAP Mask with Headgear by Philips Resprionics uses a blue gel cushion to offer a good seal and comfortable fit. 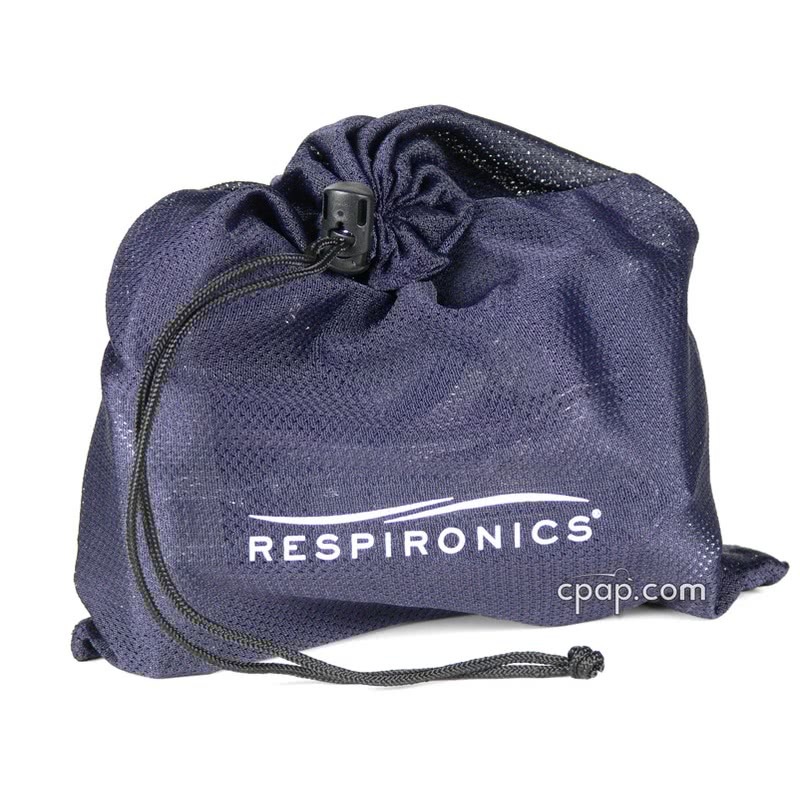 As an option, consider the Duo Pack and receive two cushions and SST flaps with your ComfortGel Full Face Mask! 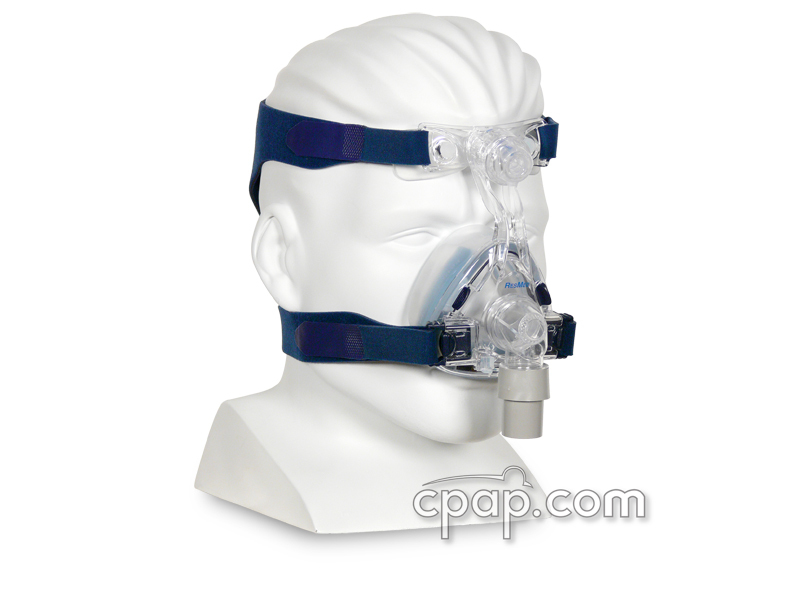 The ComfortGel Full Face CPAP Mask with Headgear offers full face mask comfort. The mask uses a gel filled cushion with a unique Sure Seal Technology (SST) that provides a custom fit to your face. Instructions included with package. 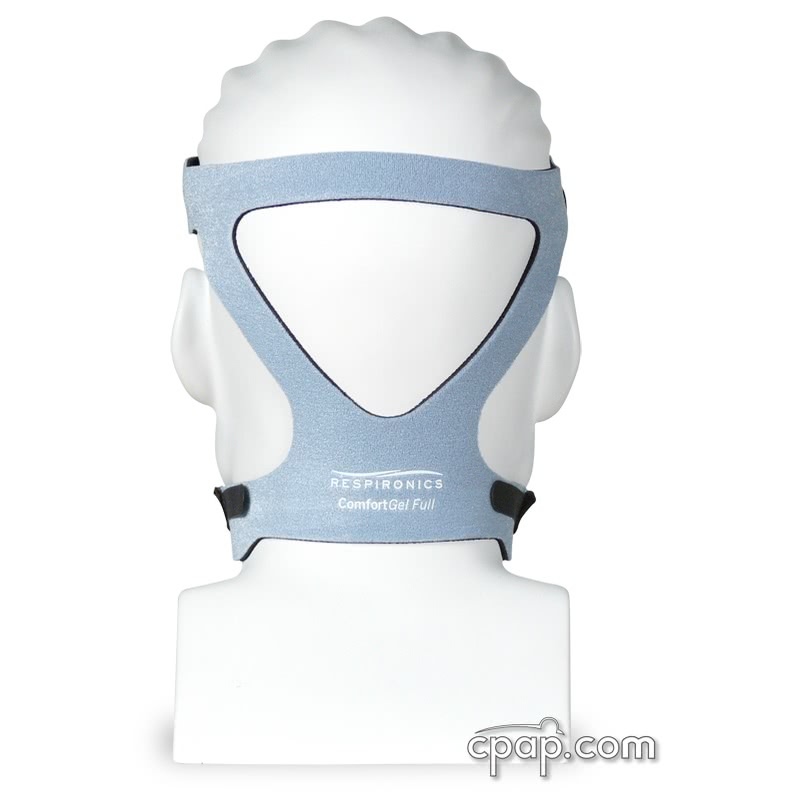 Broad Silicone Forehead Pad. 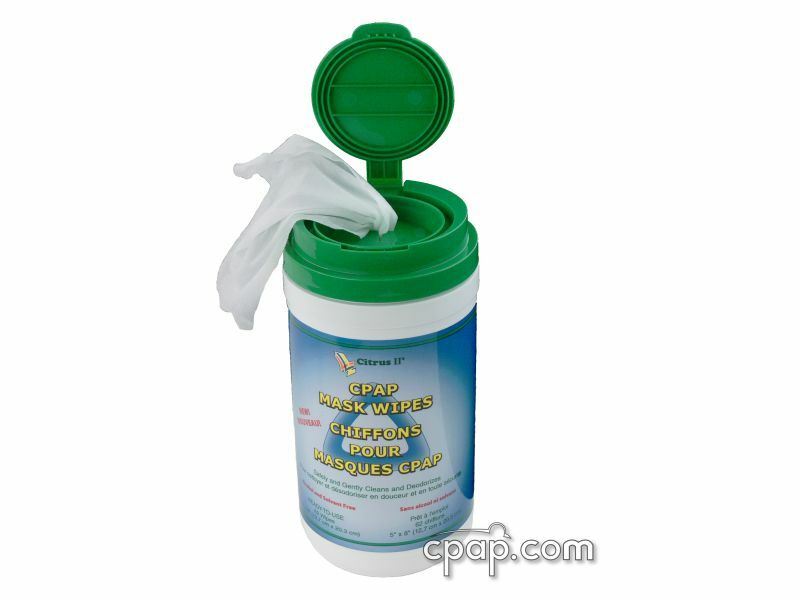 The ComfortGel forehead pad is large and provides an enhanced Stability Selector which allows for easy movement and adjustment. 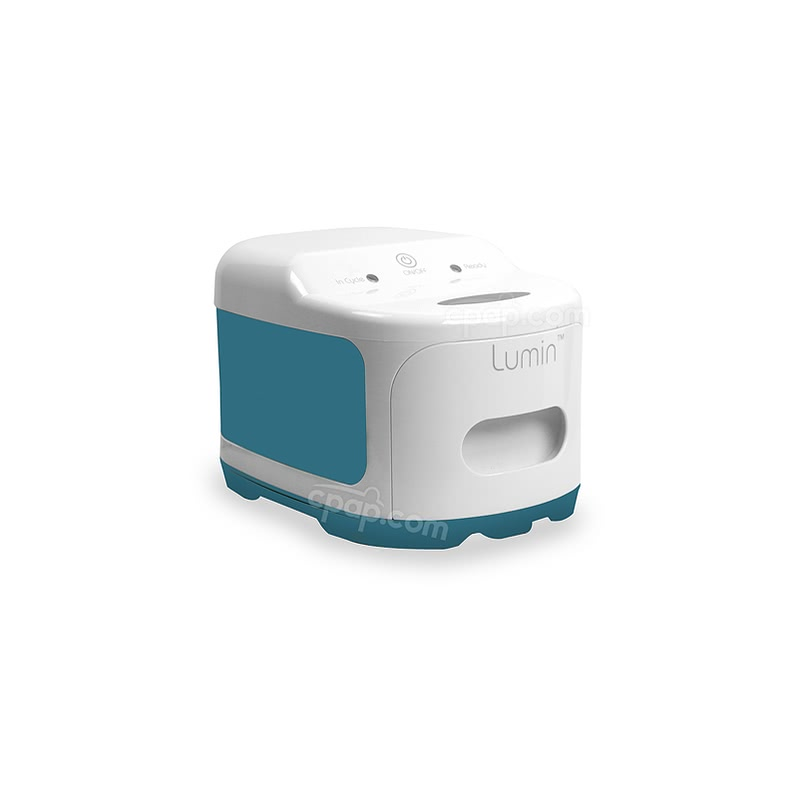 Replaceable Gel Cushion. 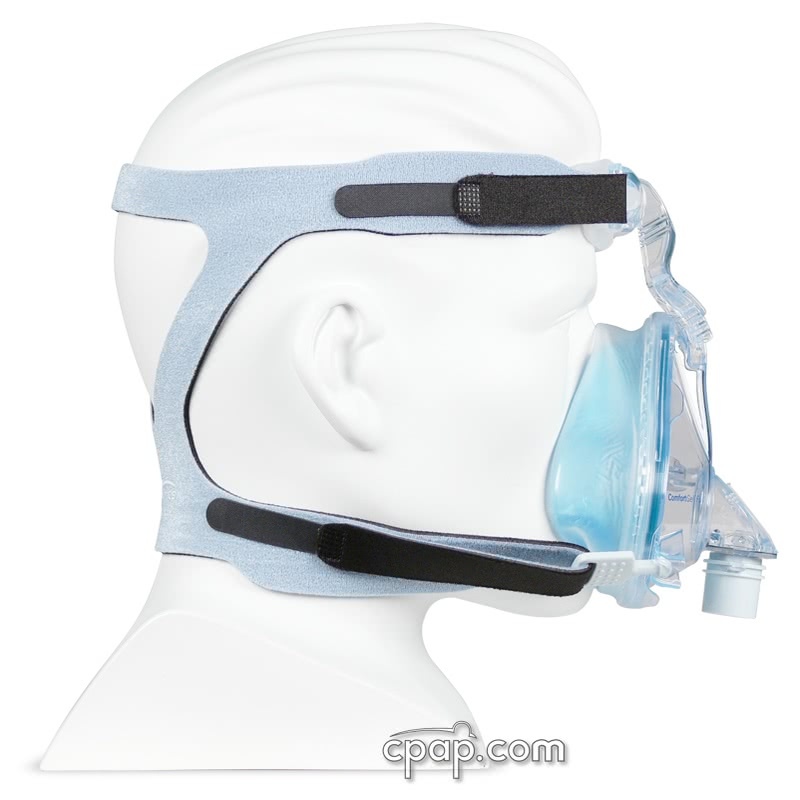 The cushion and silicone flap are replaceable, allowing users to reuse their mask frame. 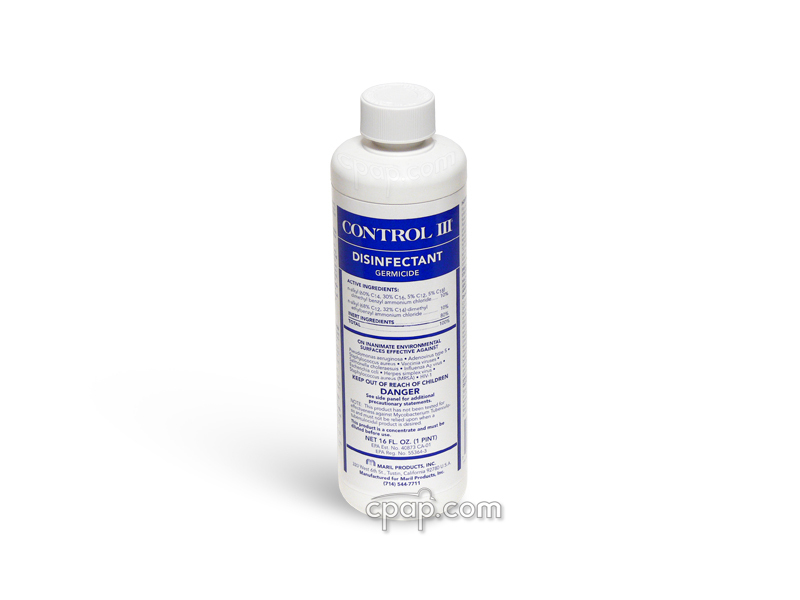 Use the separate silicone membrane that snaps on over the gel cushion to increase the life of the cushion and provide a unique Sure Seal Technology (SST), contouring a seal around the Gel Cushion. 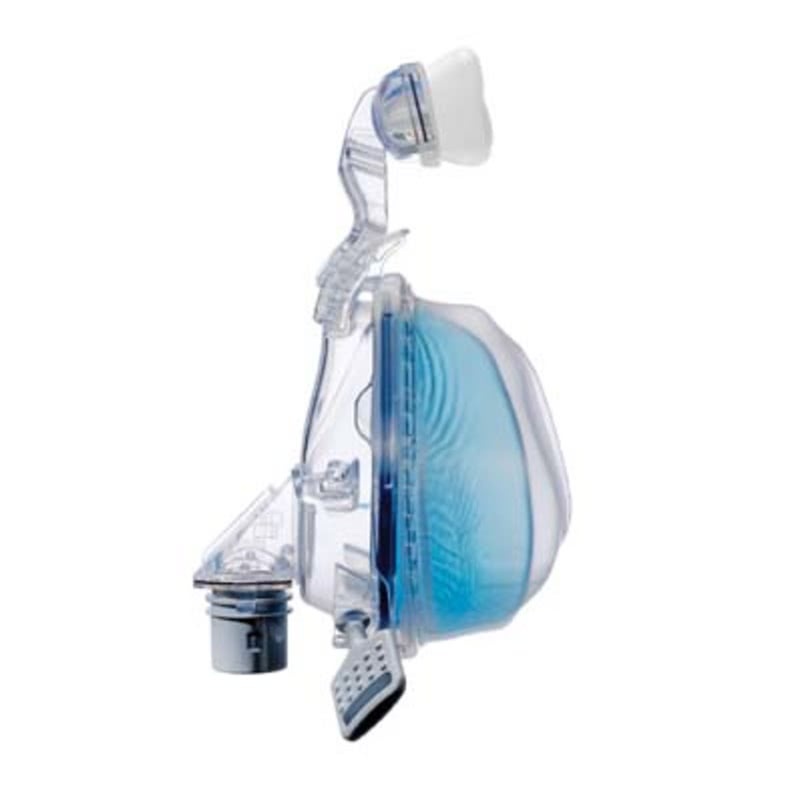 Unlike the ComfortGel Nasal CPAP mask, the ComfortGel Full gel cushion CANNOT be boiled for additional conformity. 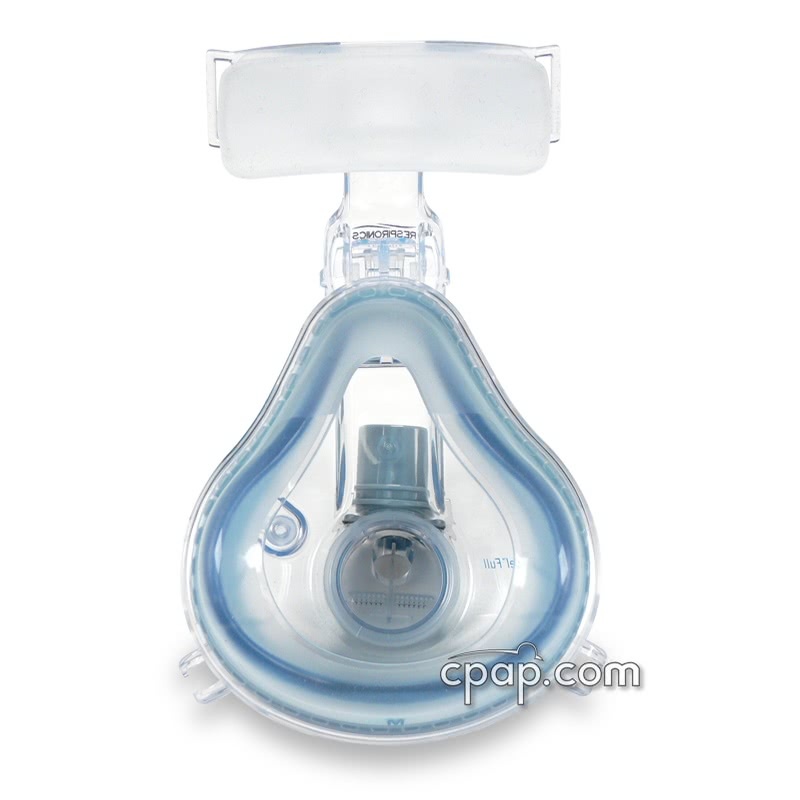 If you have any problems with size or fitting, please call our toll free number 800-356-5221 for assistance from a CPAP expert. 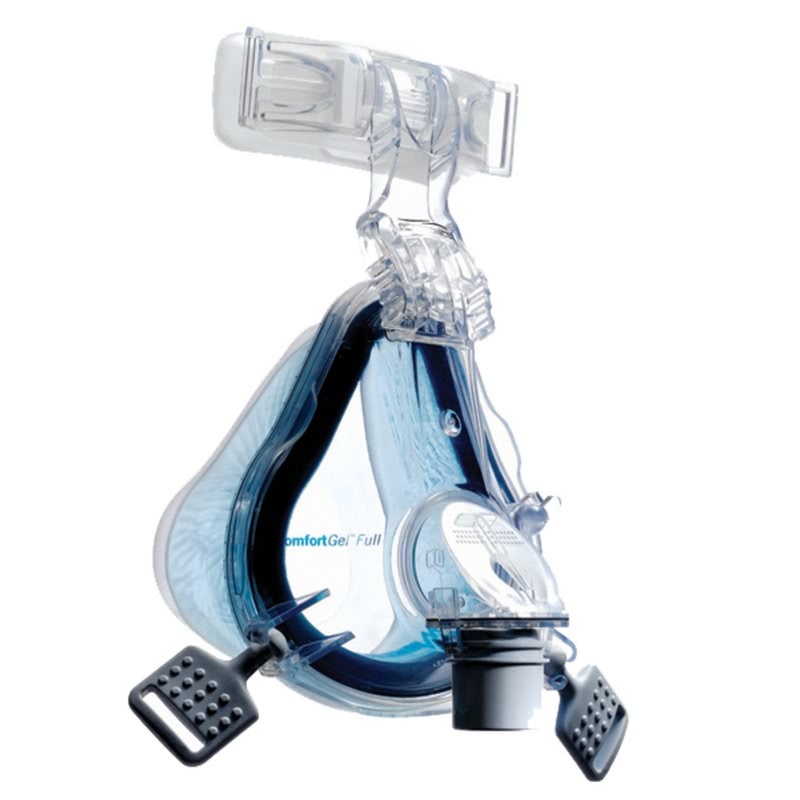 The ComfortGel Full Face Mask comes in three (3) different Frame sizes. Use only the cushion/flap that fits onto your frame size. 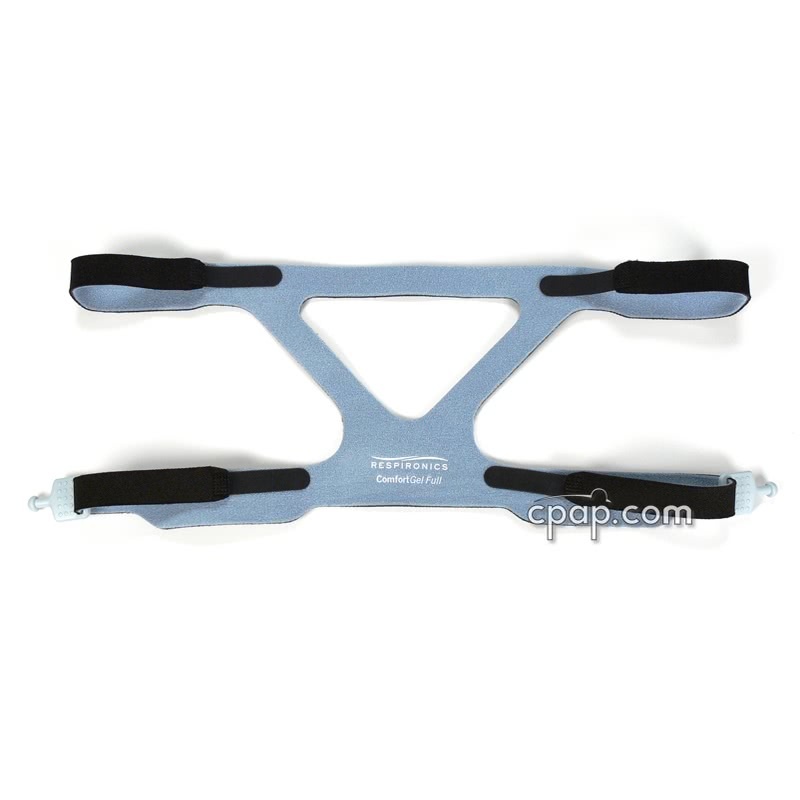 The cushion and SST Flap will not fit onto a frame of a different size.